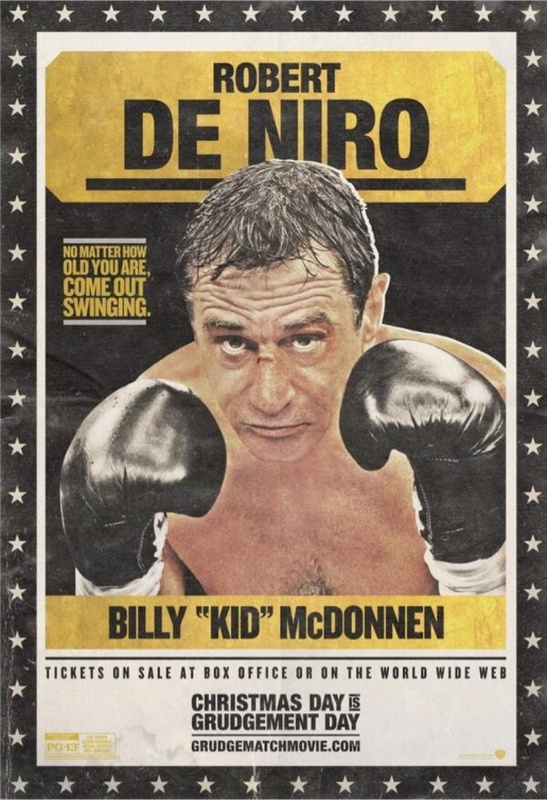 Yesterday the first poster for Grudge Match was released and today we have a new one featuring Robert De Niro as Billy "Kid"McDonnen. In the film, two retired boxers and rivals are convinced to fight again after 50 years from their last title fight. Grudge Match opens on December 25th in US theaters.